I was driving my teenage daughter to school this morning when she pulled out her phone and cranked up “Don’t Fear The Reaper” by Blue Oyster Cult. Up until this day, Daddy was an old-timer, a square, way behind the times, no taste in “today’s” trends. Suddenly, for the first time in years, I found a commonality with Sydney. Next she pulls up “Carry On” by Kansas. Then Pink Floyd. What was happening? I don’t know, but this was awesome! So I pulled out MY iPhone and saw a golden opportunity to bond with my little girl again. It was priceless. I set it up on my car’s Bluetooth and voice commanded Siri, “Play Rolling Stones.” On comes Brown Sugar and I crank it up. Now I had jammed to The Stones – and Brown Sugar – a thousand times over the past 35 years. But this morning it was somehow different. Horribly different. Hear him whip the women, just around midnight. Ah brown sugar how come you taste so good? As I realized the lyrics in a literal sense, seriously, for the first time in my life – I almost pulled a muscle forwarding to the next selection, which was on “Shuffle.” CLICK! “Rock the cradle of love. Yes, the cradle of love, don’t rock easily its true. Holy crap. I’ve listened to these lyrics a million times (and sung them), but until this morning I’d never “heard” the lyrics with the ears of a father driving in the car with his 14 year old daughter. This is wrong. Sports talk radio. Embarrassed sigh of relief. This whole horrifying car ride to school made me wonder if I was the only idiot on the planet, or did everybody just jam out and sing songs without really internalizing the lyrics. Maybe it’s a guy thing? Then – as usual – I began to wonder about it as it relates to business, life, and (of course) to network marketing. Do people just experience life without actually paying attention? Do people sit in my day-long trainings and listen to everything I say, but hear nothing? Are they jamming along to the music, enjoying the hell out of it, but not internalizing anything I’m saying? Listening is probably THE MOST IMPORTANT quality of a successful sales person and most especially of a network marketing professional. Too often people are so busy thinking about what they’re going to say next, that they can’t hear what the person their conversing with is saying. Their message is scripted and may not even be relevant to their audience. Have you ever been introduced to somebody and forgotten their name within 15 seconds? It’s because you’re hearing but not listening. The most successful people don’t try to dominate a conversation and talk all about themselves. They ask questions and actually listen to the answers. If you master the art of listening, you develop the keen ability to identify your customers, your business partners, and your leaders because you hear the person you’re talking to. You’ll find that you are more magnetic and more likable. You don’t have to posses any great skills to become a great listener because you don’t actually have to do anything. You don’t have to solve, fix, or explain anything. You simply have to listen. “Two ears and only one mouth,” right? And we can all be better. Makes me think about my wife walking into my office while I’m in the middle of something. She lays out a few things she’d like me to do that day and I can definitely hear her voice. But the second she drives up the driveway, and I look up from my computer, I can’t remember a damn thing she said. 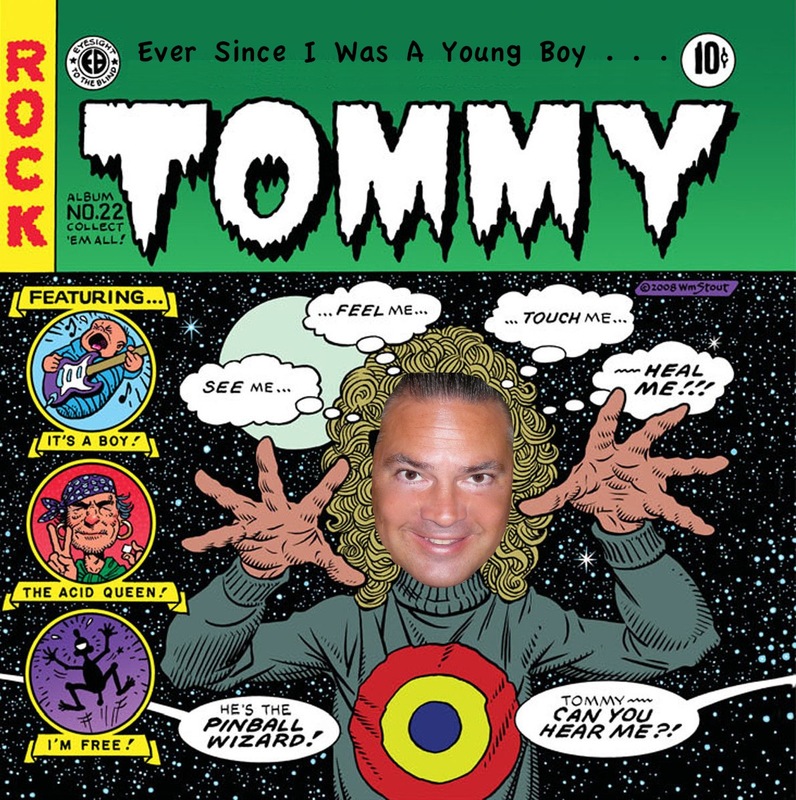 Tommy can you feel me? Oh well, I guess I can’t change the whole world! This was a GREAT read and oh so very true. I am a nervous chattery lass. So what seems like confidence, arrogance or verbal throwup is my nerves taking over 😉 I am working on this everyday. I chew more gum too! LOL Have always enjoyed listening to people and finding out their story…..somewhere along the way I stopped listening as much. Thanks for an incredible reminder of this and for sharing your hilarious stories….I do hear what you say, absorb it and take action….Appreciate you sir. Anice quick read you will enjoy is Message to Garcia….